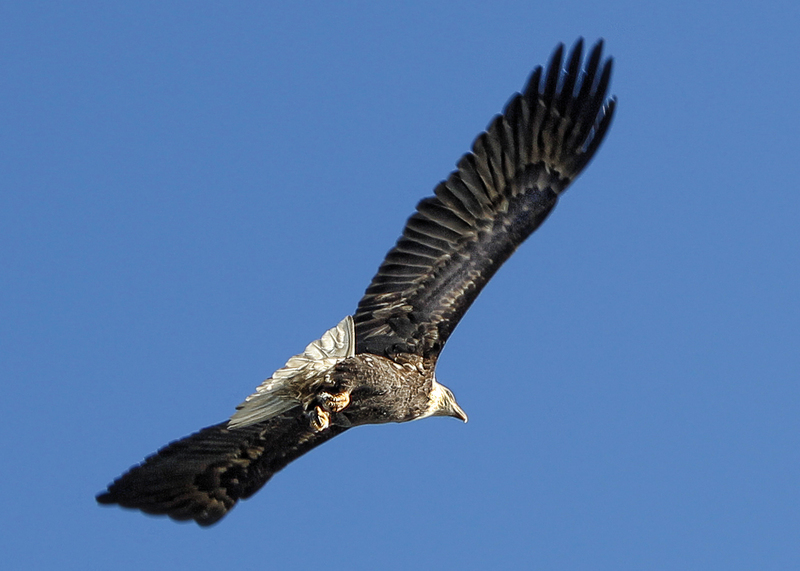 Another eagle picture….I am in awe of that wing span! ~ by Tammy on December 28, 2011. They are such gorgeous birds and you have fabulous pictures! Fly like an eagle. They fly gracefully without wing flapping. Wow – amazing capture — what were you using for a lens? That’s a very nice capture, Tammy. Must be very impressive to see close up. Awww Tammy scared the Birdie! So great to get that close – No Cage to protect YOU! wow, Tammy. That’s a cool shot! WOW! That is absolutely spectacular! The head of the bird is just pin-sharp, and the slight blur at the wingtips gives the sense of speed and power–amazing. Great frame fill – I really like the body details! You have captured a perfect moment so beautifully Tammy!